In today’s competitive, crowded marketplace, Brand Image Building is key for creating a positive impression in the minds of consumers. It calls for holistic thinking and creative marketing and branding strategies that make your brand instantly recognizable, memorable – and believable. In many cases, a company’s print ads look like they come from a different company than its website. Or social media messaging differs from PR releases. Given the proliferation of all types of media, multiple media exposure leads to multiple brand personalities. Many companies think brand image building means having and following a corporate standards manual. They fix on company colors and standardize layouts. This is important but not enough to communicate in one voice. Brand identity calls for a consistent image, not just a consistent look. The first step of Brand Image Building involves identifying target audiences and laying down business goals, both short-term and long-term. Based on this, you can develop a persona for your brand and design key messaging that articulates benefits for the consumer. Here, it makes sense to either generate a tangible value proposition or build an emotive appeal for your brand. Once this foundation has been laid, it is important to promote the brand across media and touch-points, in a creative yet synergistic way. 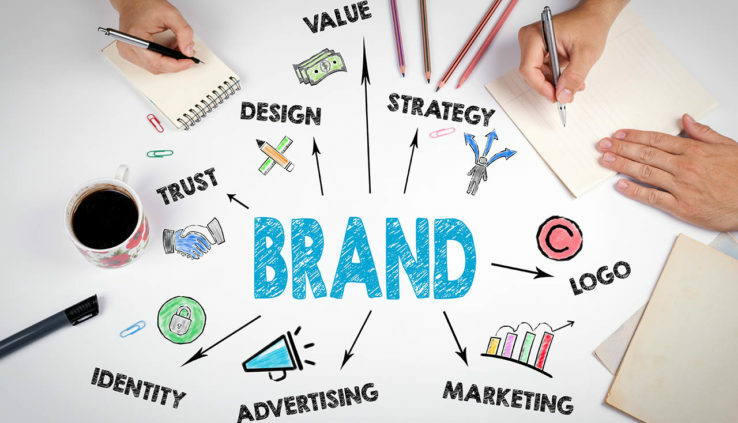 Public Relations, Social & Search Media, Advertising, Packaging, Marketing Collateral, Space Branding, Event Sponsorship, CSR – the contemporary world offers multiple points of contact to achieve successful Brand Image Building. Most of all, it requires an integrated marketing plan and long-term strategy because brand building is not a one-off thing; it’s an on-going process of creating value and equity – for consumers and all stakeholders. Interics Designs Integrated Branding services effectively translate business objectives into compelling design solutions across touch-points. A multi-disciplinary creative design agency in India, Interics has proven expertise in Brand Strategy, Brand Identity Creation, Graphic Design and Environment Branding. Interics also excels in Corporate Identity programs and has considerable experience in exhibition design and digital marketing. Over almost 3 decades, Interics has worked for a number of retail brands and B2B clients, from pharma to food to motorcycles. Interics also designs and delivers an integrated brand strategy for startups & SMEs, laying the foundation for building a successful future.